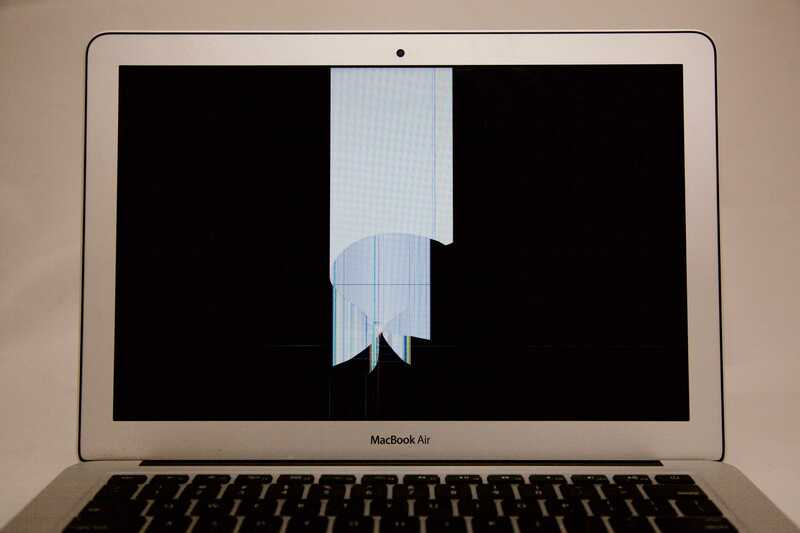 This 13 inch MacBook Air is cracked on the middle of the screen. There are white portions covering the screen and crack marks centered on the point of impact. There is no glass on the front of this model, so replacing the LCD panel repairs the issue.